How do you move on from playing one of the most iconic characters in the history of cinema? 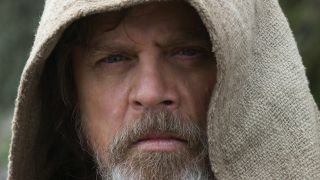 Don’t bother asking Mark Hamill because after more than 40 years since his Luke Skywalker debut, he’s back talking about Force ghosts, Jedi law, and lightsabers thanks to Star Wars: The Last Jedi. Hamill - along with Harrison Ford and Carrie Fisher - is possibly one of the only actors to have such an important role in the start and (sort of) end of such a beloved film franchise, and you wouldn’t blame him if he was sick to death of talking about it - but he really isn’t. “I’ve enjoyed every minute of it,” he tells me when we chat about his latest Star Wars outing for the home release of The Last Jedi. Is it just as fun appearing in the later Star Wars movies though? One thing the original trilogy never had to worry about was disgruntled fans - something The Last Jedi director Rian Johnson knows all too well. For Hamill’s part, he knows exactly how the fans feel: “I relate to the fans because I'm a fan myself. I understand that they have a deep investment, a sense of ownership, because I do too and the problem is, you just can’t please everyone.” One complaint he didn’t understand though, was about what happened to Snoke. “I was surprised everyone was so upset that they got rid of Snoke.” He tells me. “From Rian’s point of view, it was a big favourite for [Episode] 9 because he’s not important. It clears the deck to have the conflict between Kylo and Rey without him getting in the way and having to explain if he’s a clone or if he’s related to Palpatine... all that stuff”. Here's 15 things we learnt from the Star Wars: The Last Jedi director's commentary, including the best Leia moments Carrie Fisher came up with.